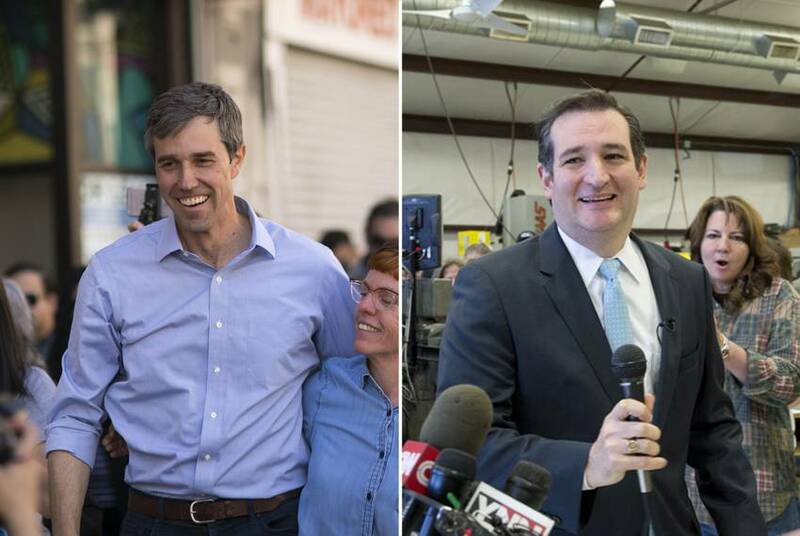 Of the two dozen or so politicos floated as serious presidential contenders, an uncanny number have a legitimate Texas connection. Boiling down Gov. 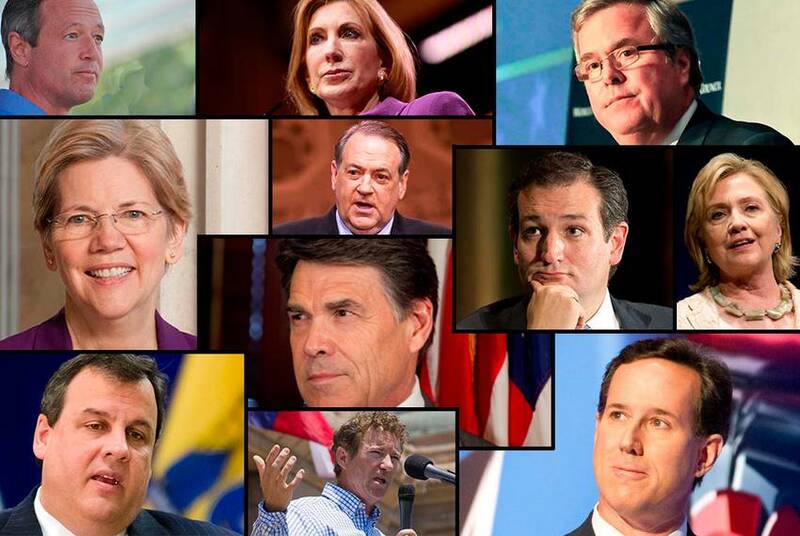 Rick Perry’s legacy into a few bullet points isn’t easy. 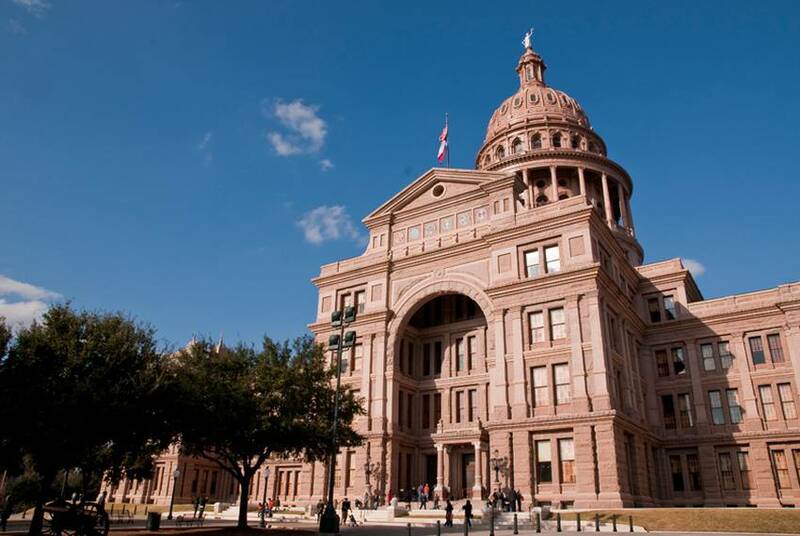 But reporters Reeve Hamilton and Jay Root look at some things people will surely remember years after Perry has left office. 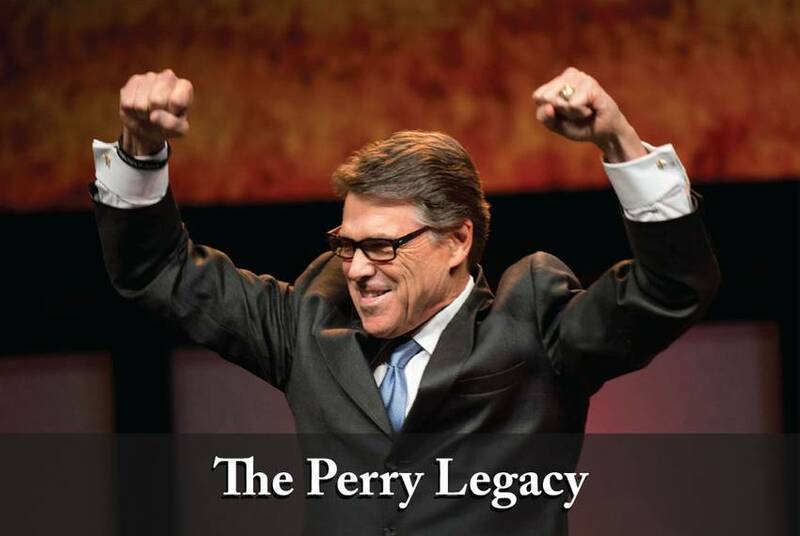 Their feature kicks off our 10-part series, The Perry Legacy. 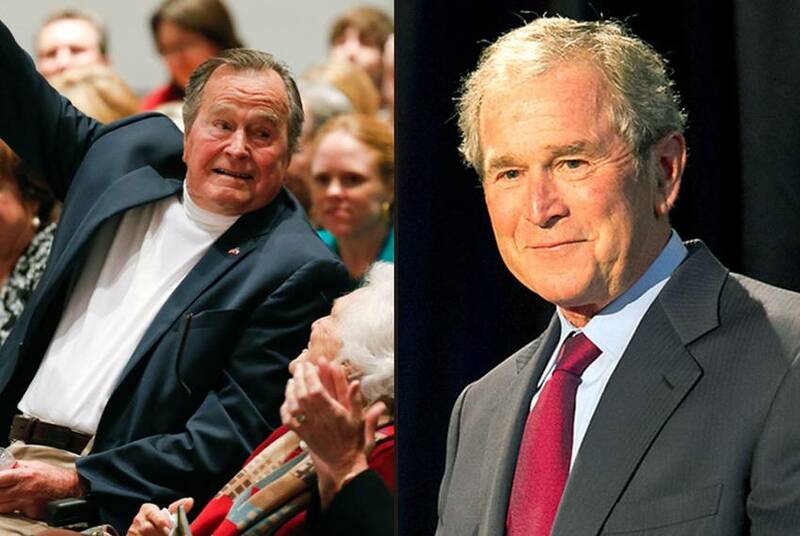 Even before his recent legal troubles, Gov. 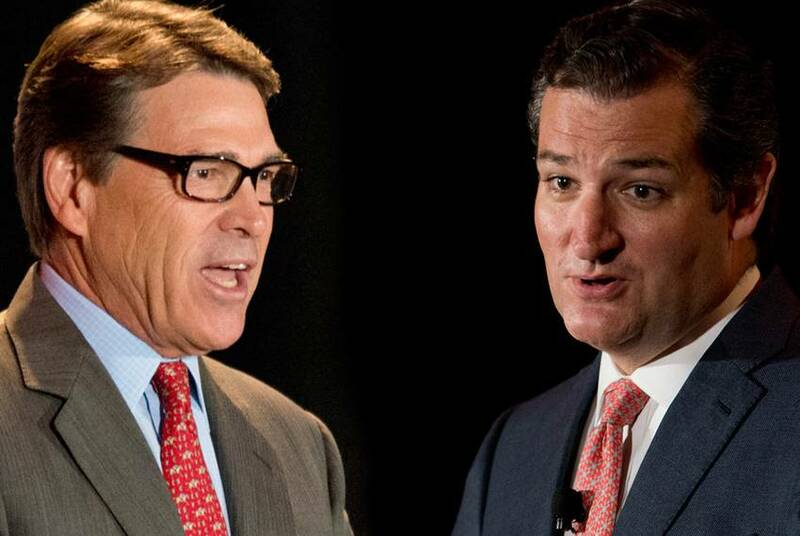 Rick Perry was operating in U.S. Sen. Ted Cruz’s shadow, in the eyes of many conservatives, as the two Texans explored bids for the White House. That was apparent in their receptions at a recent conservative conference. Gov. 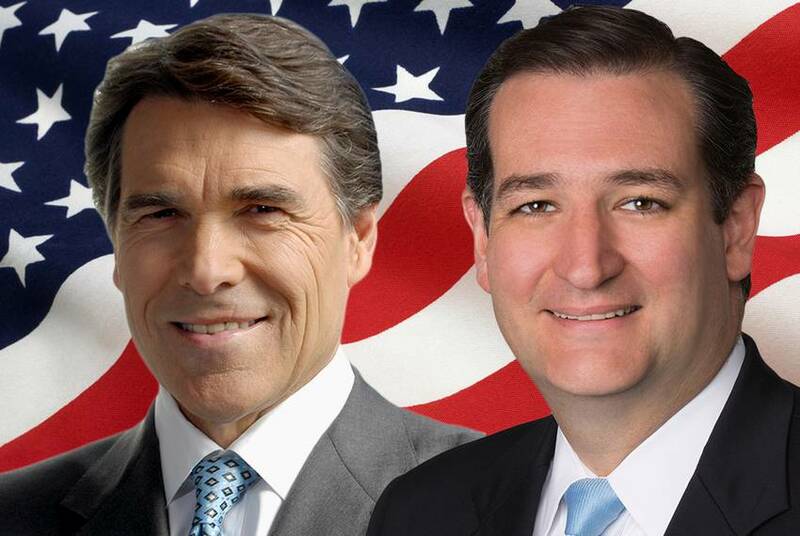 Rick Perry and U.S. Sen. Ted Cruz, two potential 2016 presidential candidates, are among the Texas Republicans scheduled to speak at RedState's national conference Friday and Saturday in Fort Worth. As he ponders whether to run for president again, Gov. 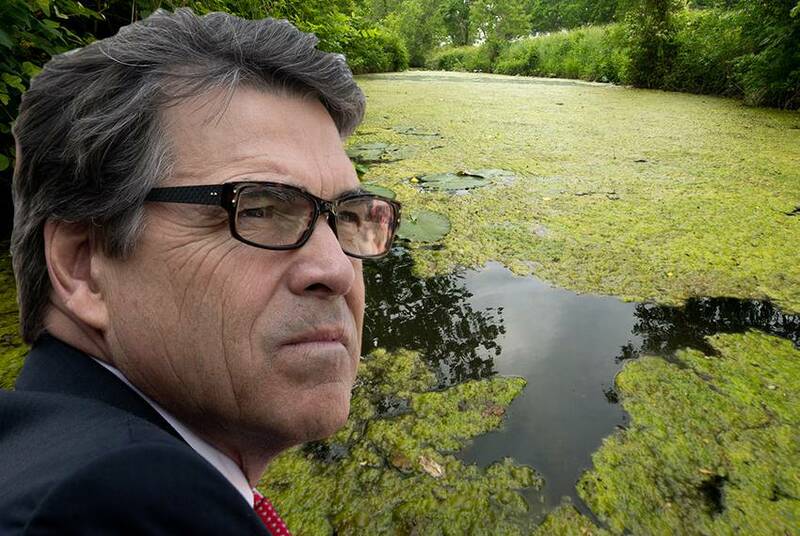 Rick Perry has renewed his faith by getting baptized in the spring waters once used to wash the sins off Sam Houston, the first president of the Republic of Texas. 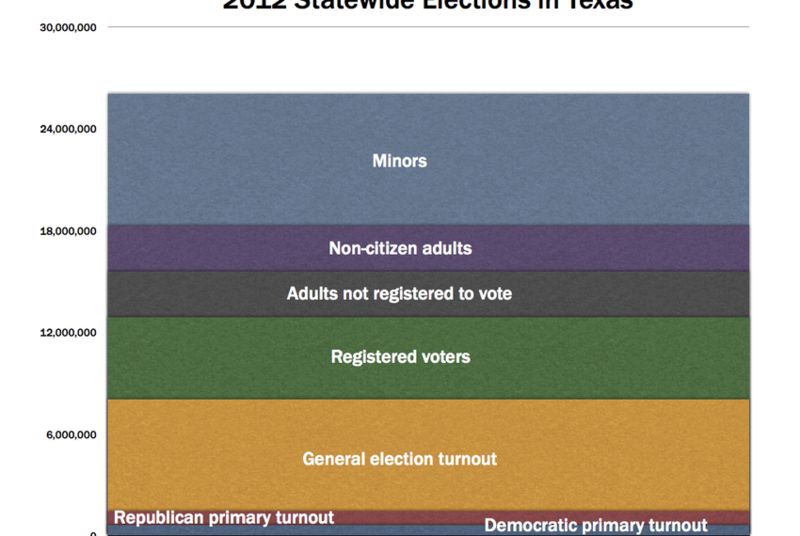 Lax enforcement, lacking leadership by state election officials and faulty voter registration procedures led to the disenfranchisement of thousands of Texans in 2012, according to a report released on Monday. 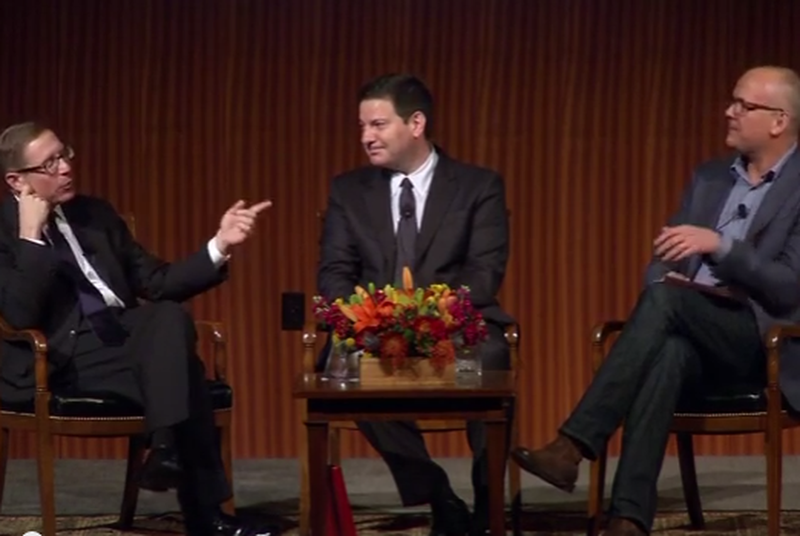 Full video of my Nov. 18 conversation with veteran political reporters Mark Halperin and John Heilemann, whose new book on the 2012 presidential campaign, Double Down, is already a best-seller. 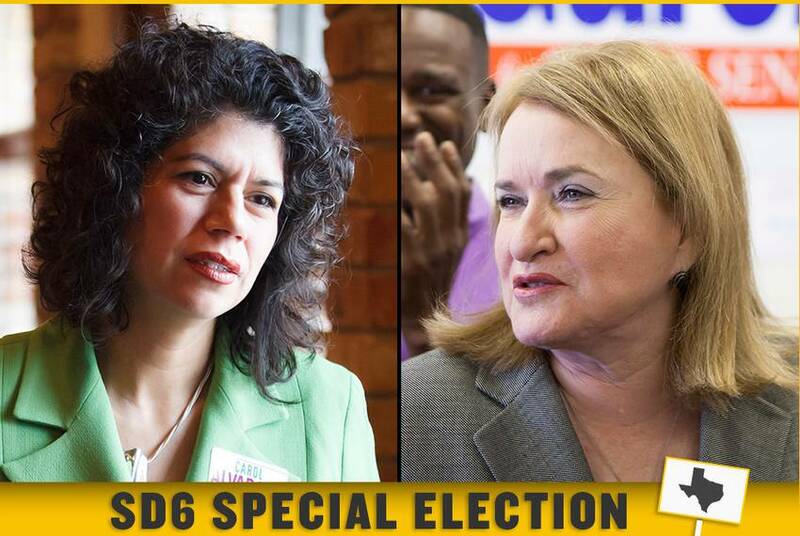 Texas politicians can easily represent the people who elect them without necessarily representing the people of Texas. 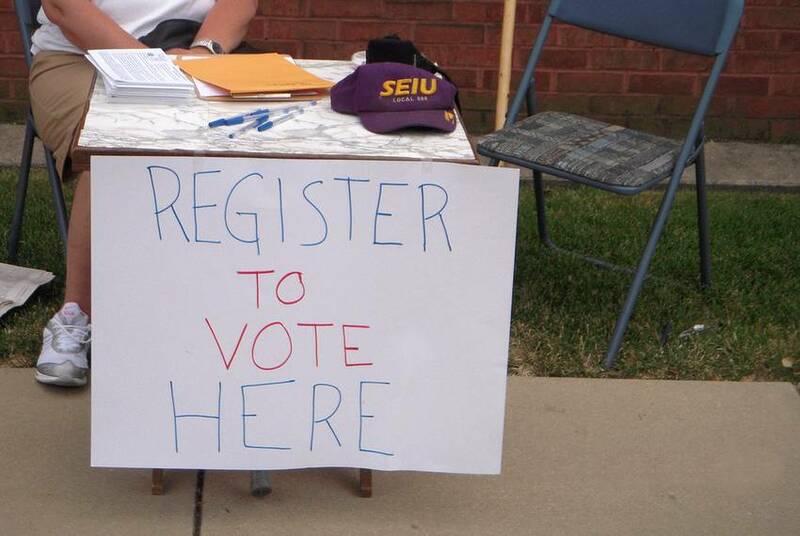 To get re-elected, they have to please their voters, not the general population. 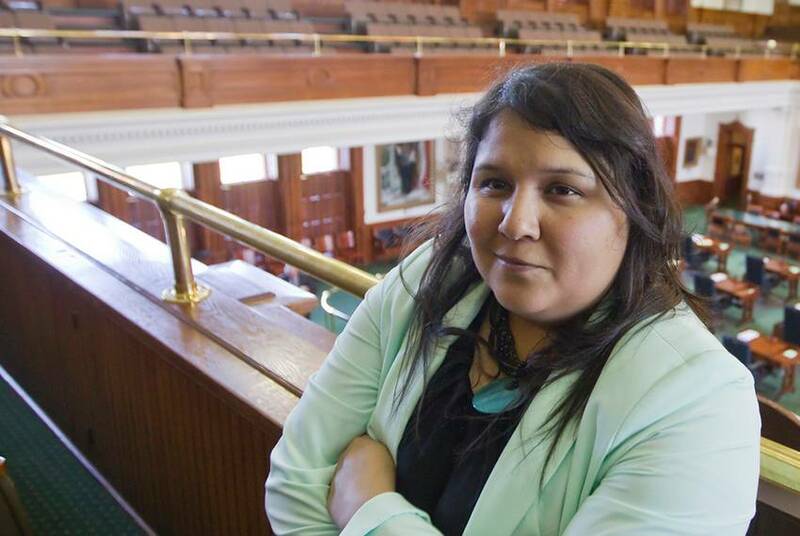 After successfully leading the bruising campaigns for two state senators and a state representative, Terrysa Guerra, an unassuming Democratic strategist, has emerged as a secret weapon for her party. 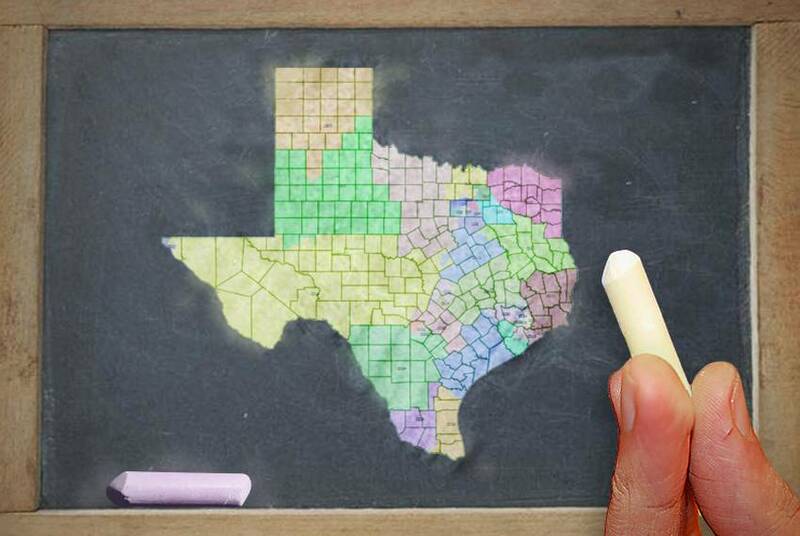 The newest Texas Weekly Index measures each of the state's legislative and congressional districts, based on how statewide Republicans and Democrats fared in races in each district over the 2010 and 2012 election cycles. 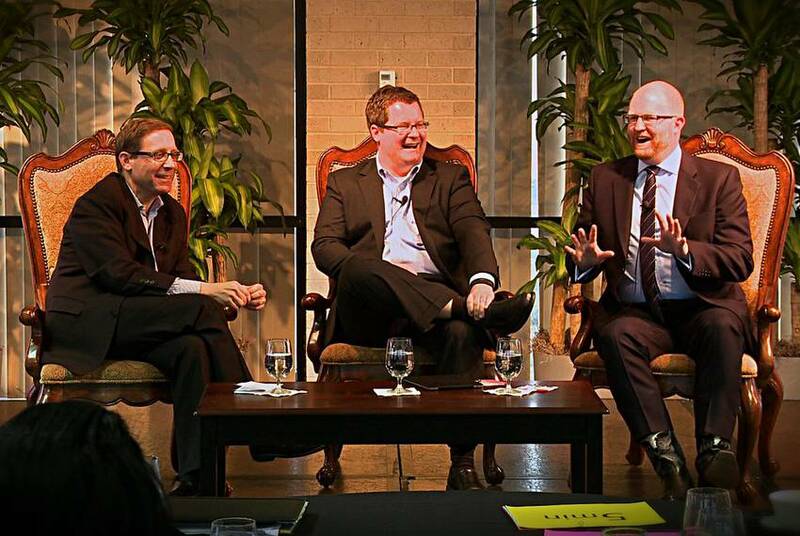 At the quarterly meeting of the Texas Lyceum, I interviewed Erick Erickson of RedState.com and Joshua Treviño of the Texas Public Policy Foundation about the evolving influence of conservative media. 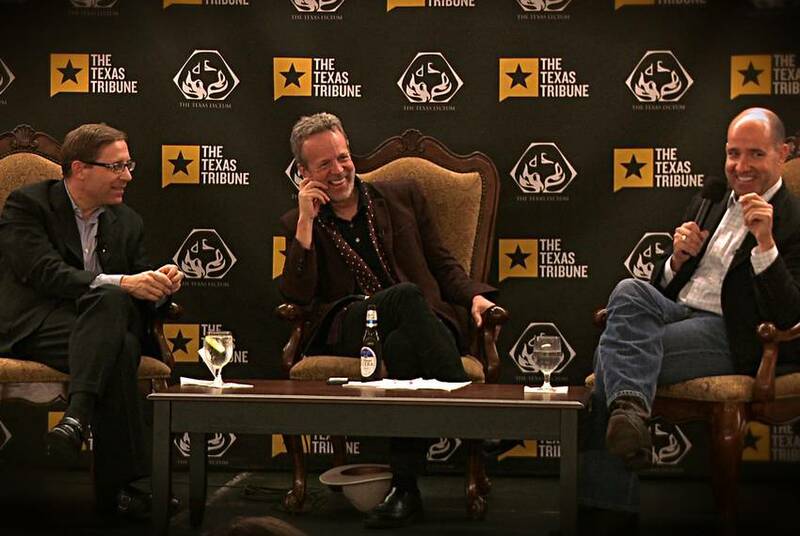 At last Saturday's quarterly meeting of the Texas Lyceum, I interviewed political-strategists-turned-pundits Matthew Dowd and Mark McKinnon about the media's coverage of the 2012 elections and how reporting on politics will be different going forward. Gov. 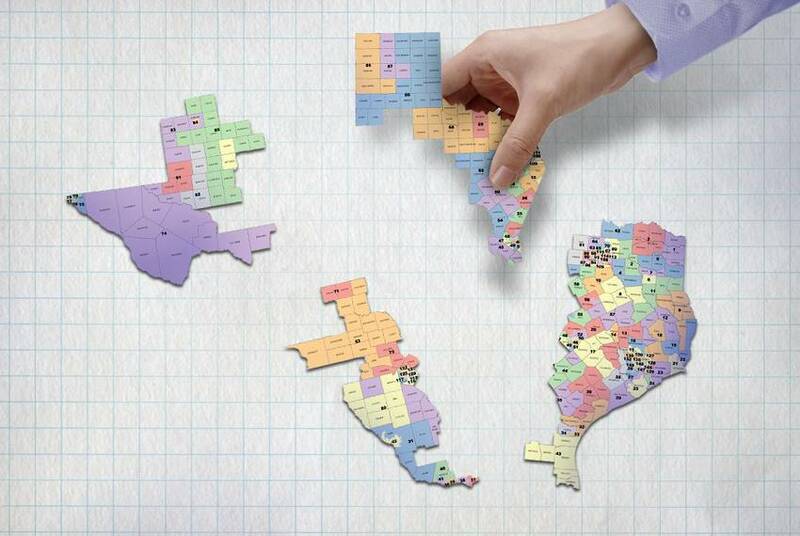 Rick Perry on Friday set a March 2 special runoff election to fill the open seat created by the death of the late state Sen. Mario Gallegos. 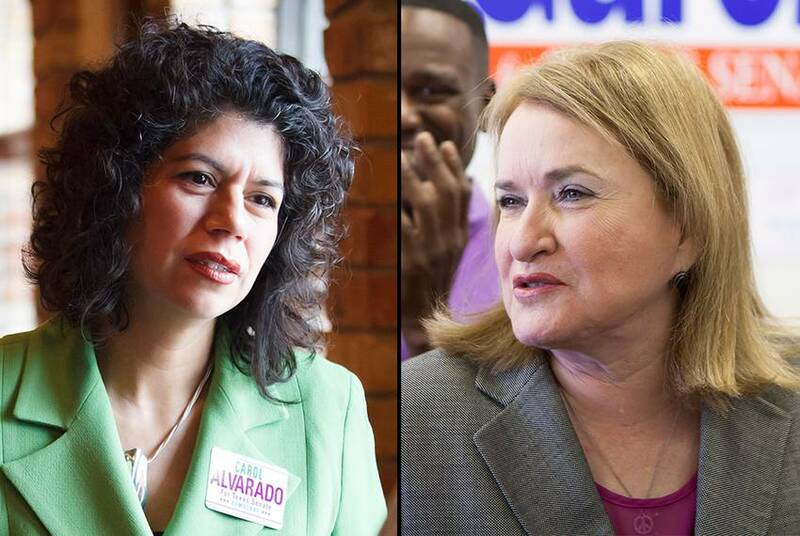 The race is between state Rep. Carol Alvarado and former Harris County Commissioner Sylvia Garcia. At this morning's TribLive conversation, Lt. Gov. 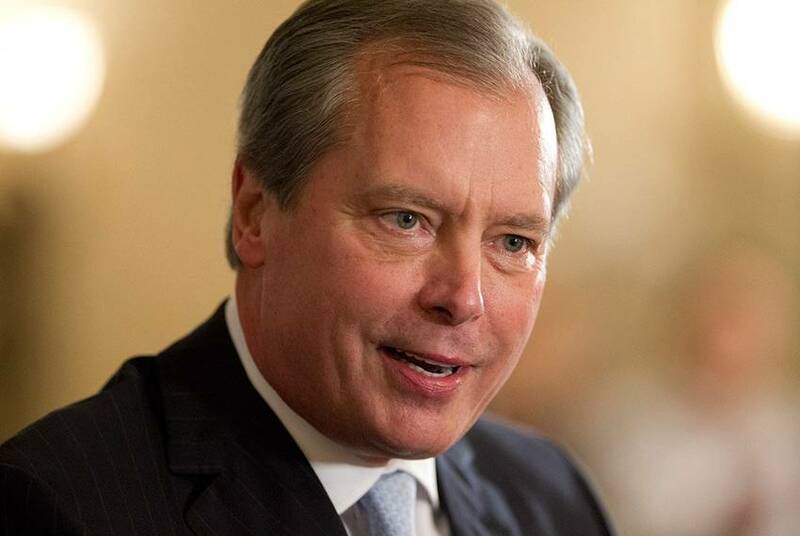 David Dewhurst talked about what he learned in his unsuccessful bid for U.S. Senate.